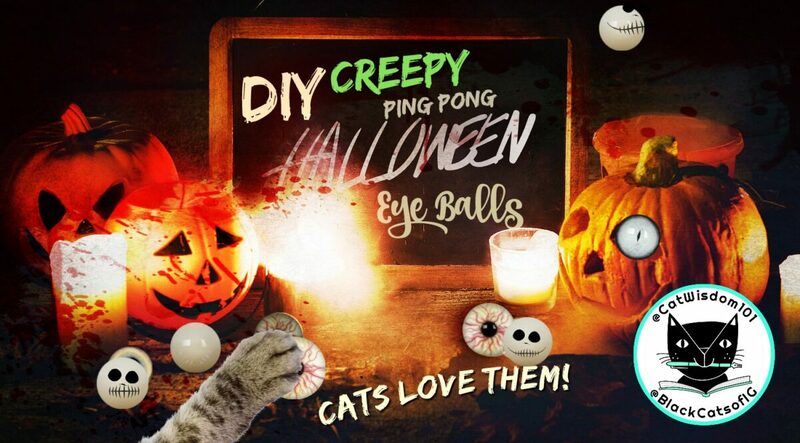 DIY Easy Halloween Eyeballs are a ghoulish delight that cats love. If you need a last minute, cheap but spooktacular Halloween decor, take a peek. No pun intended. Our friends from FurBall Fables show how in a video. They are super crafty. Scroll down and check out their other Instagram for DIY kitty crafts @Craftykittycats. A big thank you to all our regular readers and new ones who rallied for Black Cat Awareness Month and posted #blackcatawarenessmonth hashtag over 2500 times on Instagram. Bit by bit our cause it taking root with the help of far larger groups. There are so many new black cat videos and the new DC Marvel character Black Cat helps awareness tangentially. Together we are stronger and black cats are benefiting. BONUS one-of-a-kind Halloween cat art. Every year I create new ones. They are meant for sharing not stealing as content for another website. This year I found websites hotlinking entire blog posts like our Halloween Safety Guide. At least they gave credit but I work hard to create something different and original. Bloggers, create your own or beware of goblins and witches tonight. 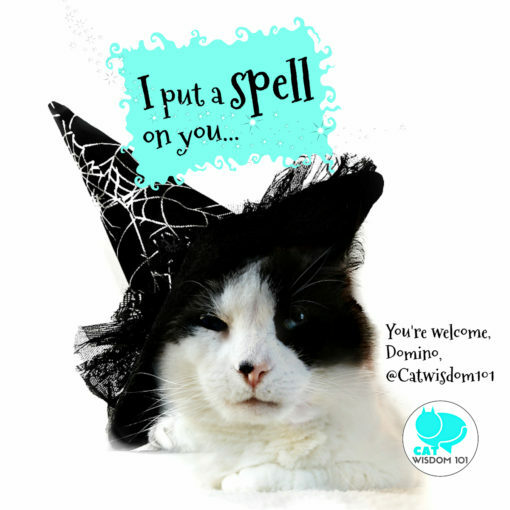 Our Domino may put a spell on you! You don’t have to be crafty or an artist. They are creepy in a good way. Fun surprise alone or impressive by the bushel. BEST of all. They ping pong eye balls double as safe cat toys. Best deal under a buck. You can buy really cheap ping pong balls online (too late for this year). A gross is under 10 bucks for 144. That’s fine if you need a large quantity for a cauldron of eyeball stew, but they are cheaply made and won’t survive heavy cat play. Craft stores are a better bet where they are about under a dollar each. It’s worth it for our all-time favorite cat toy. 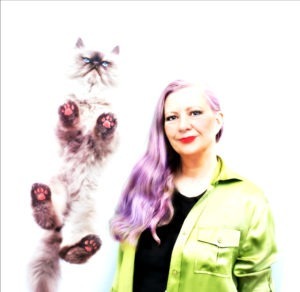 I’ve tried every color and cats don’t care if they are white or yellow, with or without a design. Cheap balls will crumple or lose their zingy bounce. Stay away from the pricey pro ping pong balls unless your cat has Olympic-sized dreams. Be aware once your cats discover the joys of ping pongs, they may swat at and otherwise ruin your artfully arranged display. Cats love to chase after the loves. I like to bounce them hard and watch them skitter in all directions. Too many is never enough. Like catnip mice, ping pong balls tend to disappear under the furniture and crevices you didn’t know you had. If you have any left over from your party, recycle them next year. And dare I say it? It’s not to soon to save some balls for festive holiday crafts. Snowmen, anyone? The best and safest tool for drawing: Sharpy pens indelible ink markers. One wide black and one or more medium tip in red or other colors. For extra creepiness, try a splash of blood red nail polish. If using glue to add yarn or feathers, be sure it can be removed and become a choking hazard. 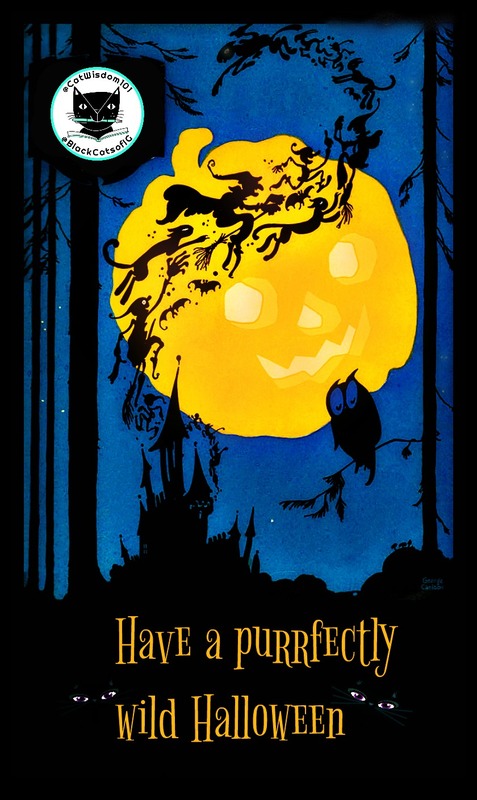 Happy Halloween and blessed Samhain to all celebrating. Keep your cats indoors and safe. Layla and the non-costume wearing Clyde, Domino, Odin and Nou Nou. Our square graphic for Instagram honors our black cat tribe and those who are having adventures beyond the great beyond. And one more for Pinterest. So many pumpkins but why not a pink one for Breast Cancer Awareness Month? Oh my! This really is a cool Halloween craft. This makes so much sense that cats would love it! I can imagine the cats going bonkers over bouncy balls. I have to try this sometime. Always such great images here – I especially admire handsome Domino! I absolutely LOVE that ping pong ball idea! Hoping I remember to try it for next year! LOVED your graphics! Pinned this! Happy Halloween! Happy Halloween, sweet pals! Here’s hoping you got more treats than tricks! What a fun and easy idea for cat toys! Even my not-terribly crafty human could do that! Happy Halloween! Happy Howl-o-ween! Thanks for reminding TW about ping pong balls. Throw one in the bathtub for hours of endless cat fun and they can’t even get lost. 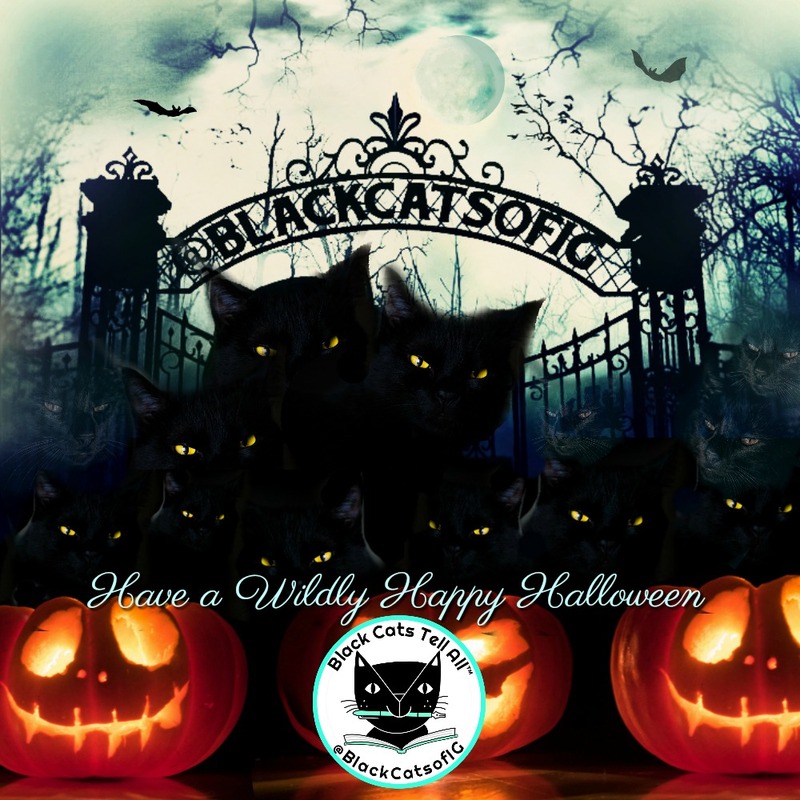 We shared your Black Cats’ graphic on FB because #BlackCatsMatter. Those ping pong ball eyes would be fun! Happy Meowloween! Wishing mew a spooktacular evening ~ MUWAHAHAHAHAHAHAHA! Those eyeballs look like a lot of fun! Happy Halloween! 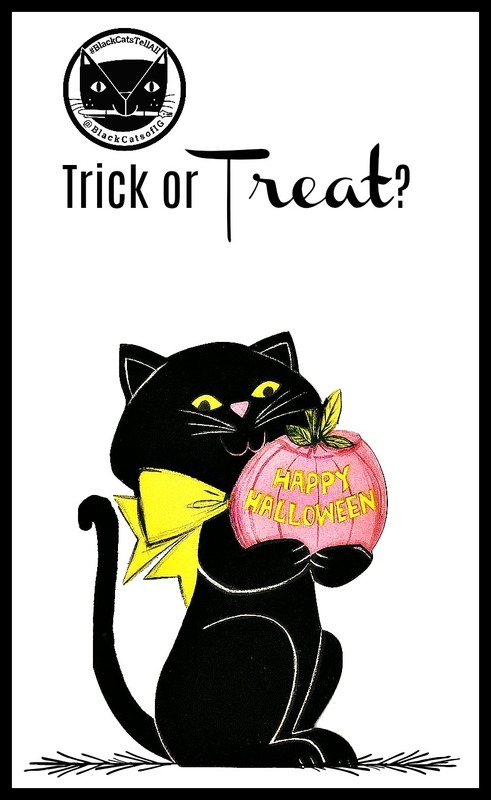 We hope everyone has a safe and enjoyable night and gets lots of treats and no tricks! Da Boyz would go nutso over ping pong balls! 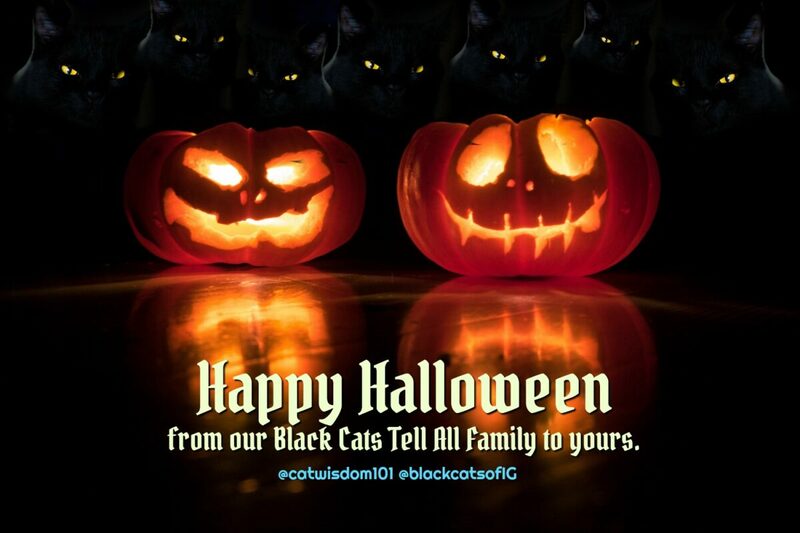 Happy Halloween; Black Cats Rock! as always fab graphics!!!! We luv the pink pumpkin! We have a beautiful black cat as our computer background right now. Happy Catoween and Samhain to you and yours!